TRG International is an independent provider of IT business solutions who pursues its green objectives through tangible actions. Activities include turning lights off when not needed, installing low energy lighting, purchasing energy-saving computers and reducing consumption of and recycling paper. A Green Office team works to raise staff awareness, reduce resources use and stimulate engagement and participation throughout the organisation. Targeted savings reduced electricity consumption by 22% in the first four months of 2012 compared with the same period last year and month-on-month downward trends are seen in photocopy usage, toner cartridge and paper consumption. In the first quarter of 2012 the company has made 1,252 fewer taxi trips year-on-year. 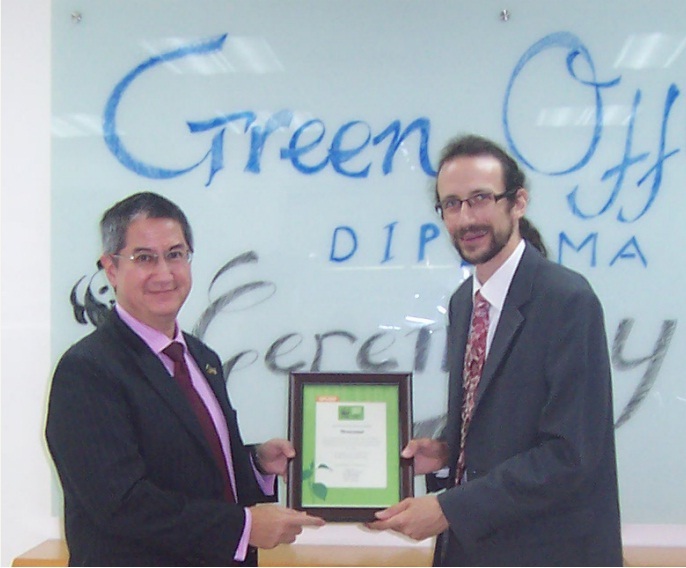 CEO Rick Yvanovich says: “Green Office has become a growing part of our overall CSR activities, where on-going educational campaigns motivate each other to think and act green. Multiple environmental activities are held throughout the year - such as tree planting, Earth Hour and coastal cleanup. These are all popular activities that most staff participate in and help organise”. If you are thriving to be a green business or care about these issues, download the June’s Green Office Newsletter prepared by WWF for the Greater Mekong region.